Every individual or business has its own unique needs when it comes to dynamic website design. At Itglobalsolution.com our main job is to understand our customer’s needs and then recommend them the best solution that seamlessly fits into their budget. Most of the dynamic websites we build have content management systems developed in Joomla, Drupal or WordPress. We can also offer custom private label CMS based solutions. There has been the amazing advancement in technology in the past few years and now dynamic websites are more in demand compared to static websites. This is mainly because of umpteen options available to you for development according to your own needs. The best part about dynamic website designing is that they can be easily maintained and updated in-house without any need to hire experts. 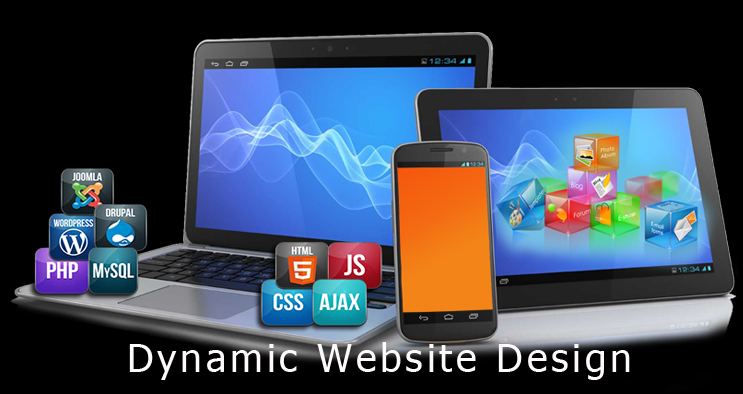 Dynamic websites are highly interactive and there is the much better chance of conversion. It is important to go for dynamic web design to maintain online databases, collaborative content, online shopping site, knowledge base and more. Our website designers design and build multi-tired websites with latest features like membership databases, intergraded search engines, and specialized functionalities to meet your business goals. Our dynamic web design company has experts that can build both simple and complex websites depending upon your individual needs. It’s very easy to start with any open source product, choose any free theme and then start adding some content. You can have this website up and running within hours. Usually, for simple dynamic website design services, we charge domain/hosting on yearly basis. Incase you need to add some customization, design element, or configuration of any plug-in then in that scenario additional fees will be applicable. Our approach is simple and it can yield simple cost-effective solutions with quick turnaround. For customized designs, our dynamic web design company has an expert team that works closely with our customers to identify the design requirements and then accordingly we create initial logos/layouts. Once our clients approve our initial layout, we immediately convert PSD to CSS/HTML and start seamless integration of open source product. Once integration is over, we configure plug-ins, social media and website backup/security plug-ins to make sure website works without any glitches. Once everything is setup, we do browser compatibility test, user interface test and then carry out website assessment and audit. We also offer options for non-responsive and responsive dynamic website designs. We prefer responsive design as it helps us in making websites fully compatible with mobile devices. We’ve been associated with dynamic website design since past many years, and we have access to technology and tools to offer you a highly satisfactory service. 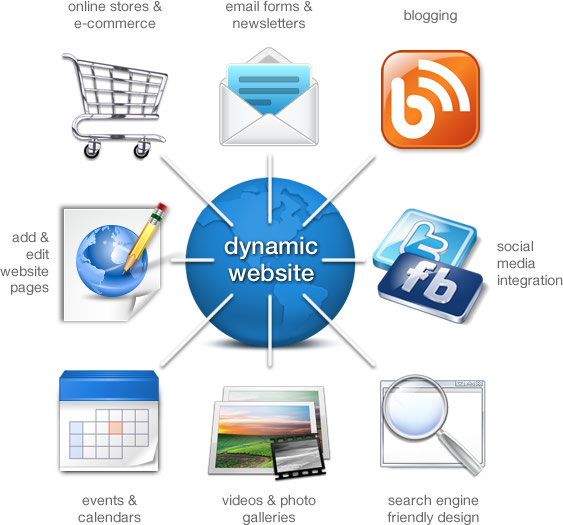 Dynamic websites can help you stay ahead in your niche. We will first study your requirements and will then offer you flawless dynamic website design to boost traffic and online visibility that increases your business growth. Call us today for your Dynamic Website Design requirements at 515-865-4591.